Dorchester native Rachel Skerritt will take the helm at Boston Latin School (BLS), the first person of color and third woman to fill the headmaster role at the illustrious institution. 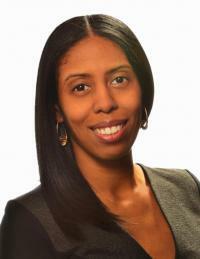 A BLS alumna, Sherritt is currently the deputy chief of leadership for the District of Columbia Public Schools. Boston school officials announced her appointment on Thursday. A screening committee unanimously recommended her for the post. "Rachel's life and professional experiences are tailor-made to lead Boston Latin School into its next chapter of excellence and equity for all," Dr. Tommy Chang, the BPS superintendent, said in a statement. "She is a champion of providing rigor and opportunities for every single student in her care, and she is someone who will not compromise when it comes to the education of young people." After graduating from BLS in 1995, Skerritt attended the University of Pennsylvania, where she received a bachelor’s and master’s degree in education before returning to the Boston Public Schools. She taught English at her alma mater for seven years, serving as co-chair of its Faculty Steering Committee and heading a group that “worked to recruit and retain more Boston Public School students, particularly students of color,” according to a BPS announcement. Skerritt draws upon her prior BPS leadership experience. While head of the Another Course to College pilot high school, the school’s graduation rate increased by 11 percent, according to school officials. She was appointed in 2009 as BPS chief-of-staff, leaving in late 2010 to become headmaster of Eastern Senior High School in Washington D.C.
Back in the BPS system, Skerritt will replace interim BLS headmaster Michael Contompasis, the longtime former head of the school who temporarily took on the role again after Lynne Mooney Teta stepped down last June. Allegations of racially-charged incidents embroiled the 382-year-old school in 2016. "I am incredibly excited to serve as headmaster of my alma mater, an institution that has shaped me as a learner and a leader," Skerritt said in a statement. "I look forward to collaborating with staff, students, parents, alumni, partners, and the community at large to ensure that Latin School's mission of college preparedness, and responsible and engaged citizenship is realized for all of our students."